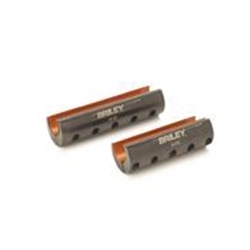 Briley MFG - Briley Clamp on Barrel Weight - 8 oz. Home → Firearm Parts and Accessories → Shotgun Parts and Accessories → Barrel Weights, Mag Cap Weights, and Stock Weights → Benelli Weights → Briley Clamp on Barrel Weight - 8 oz. Screws securely clamp the weight onto your barrel. Only for over and under models.